November marks the Sheffield Children’s Book Award, which is a brilliant and exciting time for Sheffield Libraries. This year we have many many fantastic books on the shortlist, and a special category celebrating some of our wonderful independent publishers all of which offer superb publications. 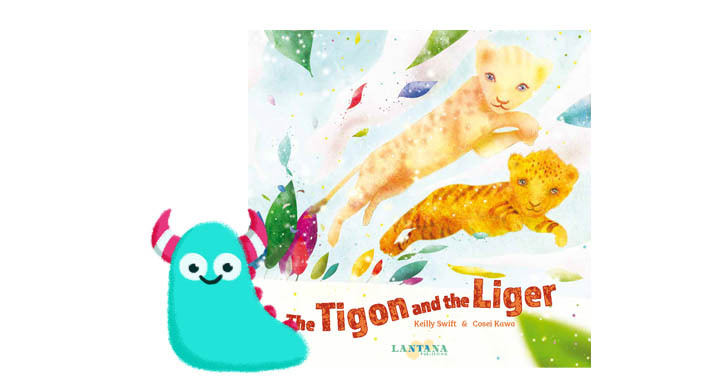 Lantana Publishing is one such company who is on the shortlist this year for their book The Tigon and the Liger written by Keilly Swift and illustrated by Cosei Kawa. Lantana Publishing’s mission is to select outstanding writing from around the world to help all children see themselves in the books they read, to embrace diversity and different cultures. 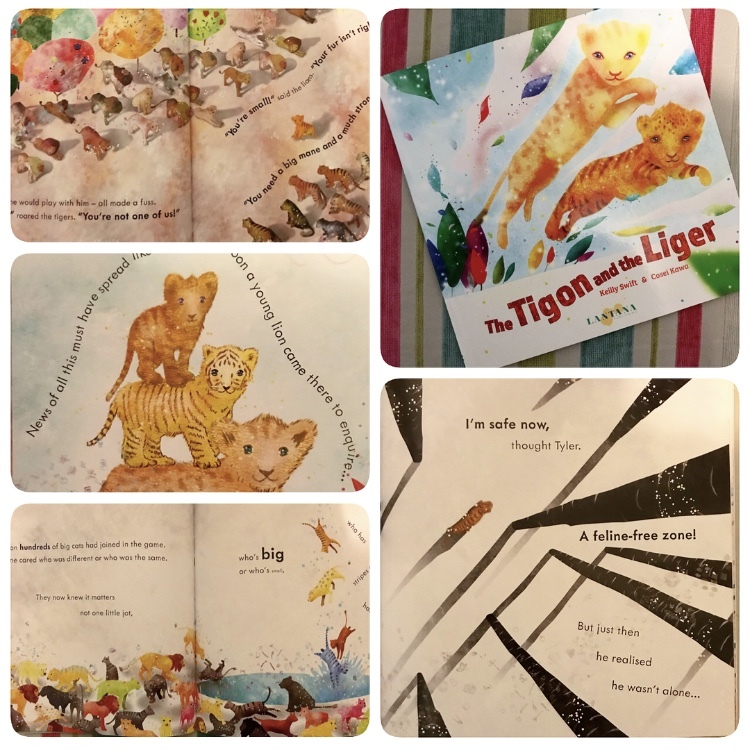 The Tigon and the Liger is one such book, a beautifully written tale about Tyler, who’s dad is a tiger and his mum is a lion. As he’s a mix of the two, he doesn’t fit in, and is treated badly by the lions and the tigers. He leaves his home to try and find a friend and acceptance elsewhere, when he meets Lyla, who’s dad is a lion and who’s mum is a tiger. They, both feeling ostracised and lonely, empathise with each other, and become firm friends. As they accept each other and grow in confidence, they start to play and live a fun life, at which point the younger lions and tigers see the friends having fun and want to join in, forgetting their differences. This tale is a lovely poetic piece of writing from the brilliant Keilly Swift. The rhyme in it flows really nicely making it a gentle story to read out loud to children. It’s easy to understand, without being too simple. It’s ultimately a lovely, sweet, endearing tale, which teaches an incredibly important lesson about empathy, differences and acceptance, which is such an issue publishers, schools and libraries are all very much focused on right now. This would be great for use in the classroom with various aged children! Or, of course, just as an entertaining and visually captivating bedtime story at home. Cosei’s illustrations in this are incredibly unique, with a dreamlike quality you get a feel for Cosei’s Japanese background here and the mimx of modern and traditional. The colours are bright and varied, but gentle and soft and really easy on the eye. The animal illustrations are bursting with character all adding to the wonderful atmosphere within the pages of this book. I’m really quite taken with the books Lantana Publishing produce, with their quirky and universal feel, they embrace different cultures and stand out from the crowd. The Tigon and the Liger teaches an important lesson with expertly crafted writing and illustration. Now I would like to welcome to the blog writer of the Tigon and the Liger. Keilly Swift, who was so kind to answer a few questions from the Book Monsters. Thank you so much Keilly. The Tigon and the Liger is a wonderful story of acceptance and friendship, where did you get the idea for this story? I’ve worked with children (as a teacher and in publishing) for many years and bullying is something that affects a lot of young people. Almost everyone has times when they feel they don’t belong. I spent my early years in the Bahamas, where I definitely stood out with my pale skin and blonde hair, but it was when my family came back to the UK (when I was nine) that I really felt out of place. I was teased for my unusual accent and I was behind at school because the subjects were different. 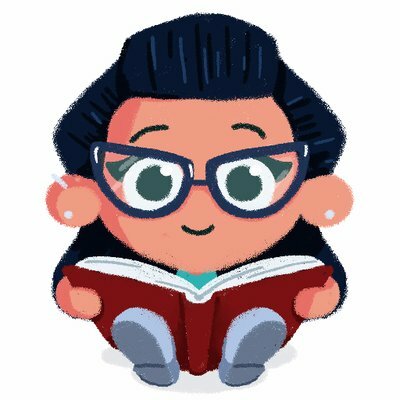 I think the combination of having that experience and hearing first-hand from kids who feel like they don’t fit in gave me the idea to write a story that celebrates difference and acceptance. The idea centres around creatures who have traits of both tigers and lions which works really well, did you always intend the story to be focused on these animals, or did you consider any other ways to tell the tale? I had the idea for the characters when I was writing a feature on hybrid creatures for a children’s magazine. I’d never heard of tigons or ligers before and they seemed like the perfect creatures for the story I wanted to tell about not fitting in and the triumph of friendship in adversity. I did lots of research into hybrid creatures and a few others get a mention in the book, but it was the tigon and the liger that captured my imagination and I didn’t really consider any other ways of telling the story after that. I remember trying to decide which one to introduce first and went with Tyler the tigon as tigons are even more rare than ligers. The story is written in rhyme (very beautifully) did you always intend it to be a rhyming story and did this pose any challenges? I love writing in rhyme and it immediately felt right for this to be a rhyming story as it is quite sad in places with a serious message about acceptance. I thought that rhyme would make the story easier and more fun to read. It is definitely more difficult to move a story in the direction you want it to go when it is rhyming, but I didn’t put any limit on the number of words or worry too much about how many syllables were in each line when I first wrote it, I just let the story come out! So the biggest challenge was editing it down and making sure the rhythm of each line was right – I owe a lot to Alice Curry at Lantana for really helping me to craft the final version (and persuading me that less is actually more – the original version was twice as long!). What three things inspire you? I’m always inspired by meeting readers, both at book events and through my work at children’s newspaper, First News. Young people’s imaginations are incredible and some of the ideas they come up with are brilliantly bonkers. It’s a great reminder that anything is possible when you’re writing, but I always make a promise not to steal any of the ideas they come up with (even though it’s tempting!) 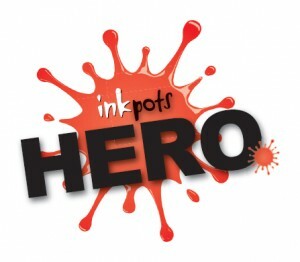 because I’m sure I’ve met some super-talented authors and illustrators of the future! My 14-month old daughter inspires me every day. Watching her find out about the world, the things she notices and what makes her laugh are all great inspiration for my own writing (even if I have less time for writing and I’m a lot more tired than before I had her. Coffee is often fuelling my inspiration these days!). The travelling I’ve done is a great inspiration to me too. I lived in Japan for three years and have travelled a lot around Asia. Finding out about other cultures and meeting different people is so interesting, but the thing that always strikes me the most is that underneath any apparent differences, people are pretty much the same and need the same things to be happy and this is something that I hope comes across in The Tigon and the Liger. And now, huge thanks go also to Cosei, for his fabulously thoughtful answers to our Book Monster questions. 1. Your illustrations in The Tigon and the Liger are beautifully unique, is this typical of your illustration work, and what mediums do you use or how do you go about achieving your look? I use pencil, watercolor, acrylic, collage, and CG. The lines are hand-drawn with pencil. The surfaces are painted with watercolor and acrylic. Almost all areas you see are hand drawn and painted. I just put some visual effects with CG. The look in this book is slightly different from my typical style. I usually draw a bit more deformed characters and compositions. Looking at my initial drawings of dressed cats on two legs, the team told me that naked cats on four legs are better, because animals are beautiful as they are. To draw realistic cats were new for me and this unusual activity brought a good result. I think the illustrations show a good feeling of strangeness which I have always tried to make. I enjoy the difference of styles as well as those animals. 2. You’re based in Japan, which contains the traditional and the ultra modern, how much do your surroundings and your country influence your artwork? ‘The Tigon and the Liger’ was drawn in Kyoto where was the ancient capital of Japan. The times and ages are mixed-up in Japan. We still keep the royal family as well as Britain. Most especially, Kyoto holds both extremes, the traditional and the ultra modern. You can see a temple built more than a thousand years ago from futuristic abstract Kyoto station. I like the way people merge old and new in the city. In such an environment, an illustrator naturally introduce new technology and traditional craftsmanship into drawings. That is why I use pencil, watercolor, acrylic, collage, and CG. I enjoy the subtle feeling of strangeness arising from the mixture of old and new. I am researching to collaborate with an artificial intelligence. It may add a little strangeness on my artwork. 3. What did you enjoy most about illustrating the Tigon and the Liger? This book tells how to deal with differences. The lions and tigers refused the tigon at first. I imagine they had strange feelings on the tigon because the cub looks familiar but a bit different. If the difference are very obvious, like a whale or a stone, the cats would just ignore or be scared. I am quite interested in the subtle feeling of strangeness coming from a slight difference. That could be a sign of evolution, innovation and uniqueness. I drew this book with a slightly different style from my usual one. The challenge synchronized with the theme of the story. I strongly empathised with those cats while I was drawing. 4. What three things inspire you? Enshu Beach near my place. The view is magnificent. The huge blank space washes my mind. A silver ear pick. It is like scraping my brain out and emptying my skull. Zen meditation. I feel the void while doing nothing. Big BIG thanks to Cosei and Keilly for their brilliantly interesting answers. Such a joy to delve into these two talented people’s heads. Thank you so much for answering our questions with so much thought and care, and what fascinating answers they were! The Tigon and the Liger is now available from all good bookshops and libraries, but you can also head over to my Twitter or Instagram pages to be in with a chance of winning a copy! Thank you for reading this Book Monster review.